- People work better if they know what they’re working towards. - Trust your staff – they know what they’re doing. That was set to change. An early adopter of the totex model, SSEPD projects £15 million in totex savings and another £15 million in benefits from improved customer service over the next three years. These are benefits over a budget of approximately £100 million. With totex top of the agenda for both energy and water companies, Utility Week in association with Vision Consulting brought together industry leaders from across the sectors to hear how SSE has done it. The Utility Week Leaders’ Briefing, held in central London last month, was opened by former United Utilities director Tony Conway, who outlined the challenge of totex. 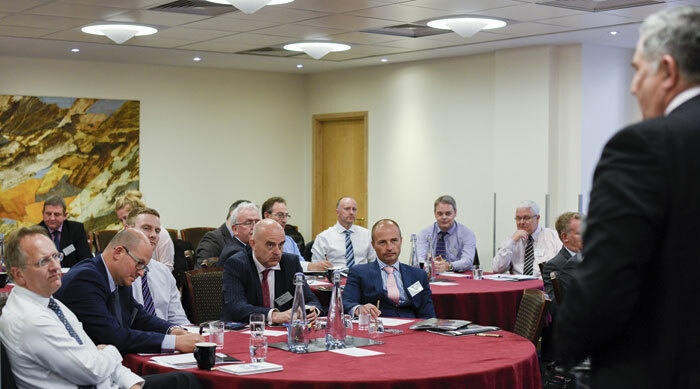 Delegates then heard first-hand of SSE’s experience, and about the solution from Vision Consulting that helped create culture change, driving value from the totex regime at every level of the business. It was all about people. Alan Broadbent is now director of engineering at SSEPD. He says that the old “command and control management structure was a barrier to change, denying the engineers the flexibility and agility on site to deliver cost effective solutions”. The solution was Vision’s commitment-based management (CbM) approach, which created “entrepreneurial engineers” empowered to make decisions on the ground that had a direct impact on the value and return that a project delivers. According to Vision consulting operations model director Peter Luff, the system is designed to tackle comments such as “that’s above my pay grade” by devolving responsibility throughout the organisation, allowing employees to make their own commitments around efficiency and value, and then trusting them to keep them. Managers were given the leeway to prioritise work on the network, to decide which would deliver the highest value or decrease risk significantly, co-ordinating the short- and long-term decisions. They were then supported in transferring this approach into everyday management discussions, through a model called the Commitment Loop. This breaks down actions so that the customer (somebody making a request, whether externally or from within the company) negotiates with the performers (those undertaking the actions) to agree clear conditions of satisfaction. This allows the performers, often the field engineers, to come up with cost-effective and innovative solutions to problems. Conway told delegates the engineers often come back with a better solution that what was originally requested. “There is no shortage of ideas,” he said. The challenge for senior managers, according to Broadbent, has been learning to let go and trust their staff to do the job. Broadbent concluded: “It’s a sea change for the organisation and the workforce and it ain’t going to happen overnight.